You guys have to try this super easy, 10 ingredient, almost instant, same day vegan mozzarella cheese! 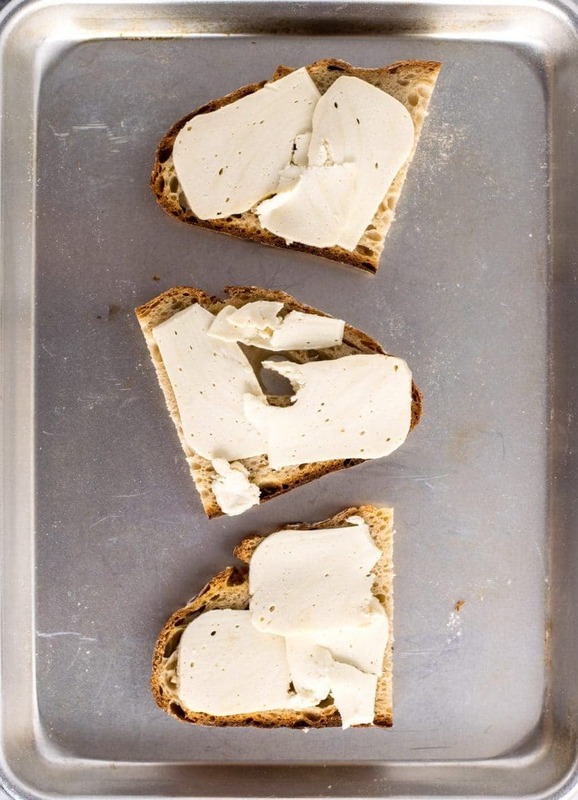 This vegan cheese is super versatile. You can use it on pizza (recipe here), put it in stromboli (I especially love the texture of the cheese in this application), and it’s great in a hot or cold sandwich. You could even eat it plain with some crackers. It can be grated and also slices super well! Basically, any time you want a mild, creamy, melty vegan cheese this recipe is perfect! 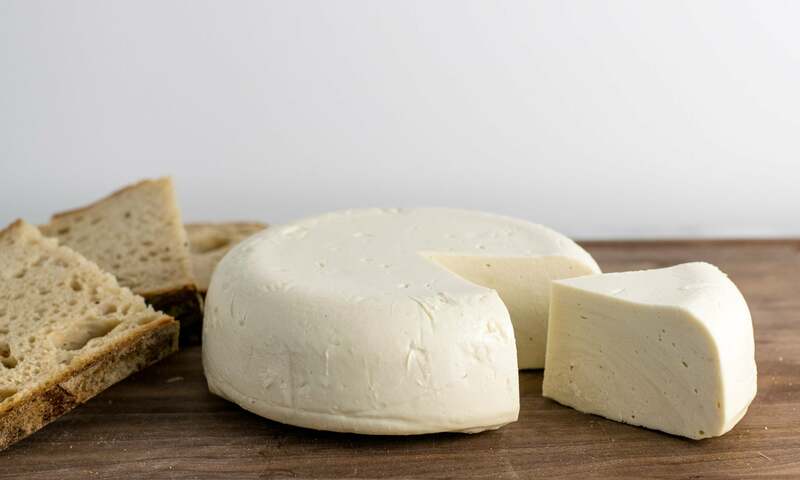 I love all the vegan cheeses that have come onto the market in the recent years (and use them regularly, especially on pizza), and am thankful that they are a thousand times better than the non-dairy cheeses I grew up eating. That being said, store bought vegan cheeses can be expensive, and depending on where you live, your favorites might be a bit hard to track down. Then there’s the point that homemade stuff tastes better than a lot of the mainstream commercially available options. This mild mozzarella style vegan cheese is my go-to I want cheese, a lot of it, and today please option. Cashews and refined coconut oil combine to provide the ultimate rich, creamy mouthfeel. Sauerkraut liquid and coconut vinegar give it that slight fermented funk without having to actually mess with the delicate process of fermenting nuts. Garlic gives a little depth of flavor and a slight bite to the cheese (as all good cheese must have a bite). 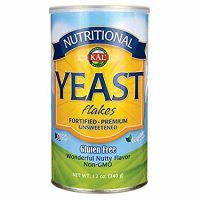 Nutritional yeast rounds out that cheesy, nutty, umami flavor. Salt, because, duh, cheese must be salty. Then tapioca starch gives it that stretchy quality, while carrageenan (which, yes, I think is fine to eat in the occasional dish) gels it firm. It is so simple to make. Throw the measly 10 ingredients into a blender, whiz it together until smooth, and then heat for several minutes to thicken! Then it can be used immediately, or if you let it cool all the way to room temperature and chill in the fridge, it becomes hard enough for clean cut slices and grating. Let me know in the comments if you make this dish, rate it, or tag me on Instagram! You must use kappa carrageenan in this recipe. Iota carrageenan will not gel properly. You can purchase it through Modernist Pantry or on Amazon. If you would like to substitute agar, check out the notes below the recipe. You can cut the coconut oil in half, to 1/4 cup, replacing it with an equal amount of water, or sauerkraut juice. It will have a less rich result, but still be very tasty! 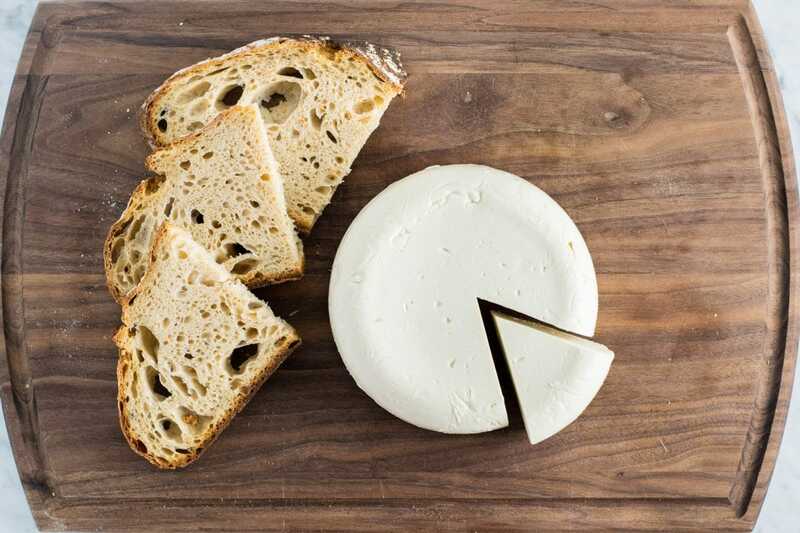 If you fall in love with making your own vegan cheese, check out Artisan Vegan Cheese, my cheese making exploits wouldn’t have been possible without Miyoko Schinner’s work! A versatile creamy vegan cashew based cheese that melts! Makes around 520 g of cheese, or about 3 cups. Put all ingredients into the blender and blend until smooth. This may take a few minutes depending on your blender. Pause and scrape down the sides a few times, as necessary. Pour blended mixture into a medium pot and heat over medium on the stove. Heat for several minutes, whisking constantly, until thickened and glossy. If you have a thermometer, it should reach 150 ºF. If the mixture splits, you've cooked it too long, but just use an immersion blender to bring it back together. Transfer to a greased mold (such as a pyrex container) or one lined with plastic wrap. Let cool to room temperature, then transfer to the fridge until you are ready to use it. *You can substitute a different mild, light colored vinegar for coconut vinegar, such as champagne vinegar, white wine vinegar, or sherry vinegar. Or use lemon juice. Each of these will produce a slightly different result. This looks so good. I can’t wait to give it a try! Looks super tasty and in a day! How do you say no to that? Question:Why would I want to skip the carrageenan? Thanks for the explanation Eva!! Thanks Sarah! Let me know if you have any questions! This makes the best bagel sandwiches ever! I made this right after going to the grocery store for all the stuff. The only thing i changed to the recipe was coconut vinegar as lemon juice, and using a different binder ( guar gum) because Sprouts did not carry agar powder. 1.) I needed to blend it a bit more. 2.) I think next time, I will put less coconut oil (mixture was too oily) and garlic. The scent was overwhelming. 3.) Remember to cook it for a bit more than 5 minutes. I was in a rush. Yikes. Other than that, i think it tasted delicious, but my non-vegan mother refused to give it a try because of the garlic. Oh well. Will try it again. Thank you. Oh I’m glad you had a semi-success with your experimenting! Definitely adjust the recipe to your taste preferences, it is certainly adaptable. One note: I would not substitute guar gum for agar powder, because it has a completely different purpose. Guar gum is a thicker/stabilizer and can mimic some gluten properties in gluten free breads, but it is does not gel (which is what agar and carrageenan do). In fact, I know if you use larger amounts of guar or xanthan gum it can actually make your dish slimy in texture, which I imagine would not have as nice of a mouthfeel! If you don’t have agar or carrageenan (you can buy them online) I would just cook it to thicken and activate the starch, but otherwise use it in a non-gelled form. You can put it on pizzas or hot sandwiches or whatever in this form, you just won’t have a block to slice. I have made it with only 1/3 cup coconut oil, and it came out nicely, though I think part of your issue with the oil was that you used guar gum. hi there! how long does this last (ie. what’s the shelf life)? hi there! how long does this last (ie. what’s the shelf life)? thanks!! It’s not as long lasting as cultured nut cheeses in my experience, but should last about a week in the fridge. 1. Does this freeze ok? I don’t believe the carrageenan (or agar if you’re using that) would freeze super well. 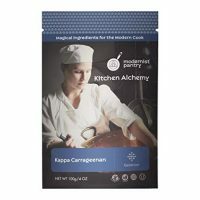 I know that kappa carrageenan is not a stable gel when frozen. But it’s also a reversible gel (meaning it can be melted and re-gelled) so it’s possible that if it breaks when freezing or thawing that it could be heated and blitzed back together with an immersion blender. I usually just try to make only what I’ll eat within ~ a week. As for the sauerkraut, it’s just there to add a little depth of flavor or funk to the cheese. If you have anything else that is fermented or brine-y that could be tasty, for example I’ll use jarred jalapeño brine in my pepper jack cheese. You could also use a little plain unsweetened non dairy yogurt, or just substitute water or add a squeeze of fresh lemon juice! Hi is there an alternative to sauerkraut juice. I really hate sauerkraut and it seems a shame to make or buy it just for the juice. Can you use more vinegar? Great recipes thank you very much. I am loving trying all the cheese ones and making my own. Definitely, just use another teaspoon of coconut vinegar, or you could use some lemon juice (for a tarter cheese). And make sure to add a bit of extra water to make up for the lost liquid! great. Thanks for the quick answer! That’s tomorrow sorted. Mozzarella making and testing! Pizza night on Saturday so will get it perfected by then. You’re very welcome! If you mix the cheese and taste it before you add the starch (which doesn’t have a nice taste) then you’ll be able to adjust the flavor a bit if necessary before it’s all made up. This recipe rocks! I could tell from the smell as soon as I put it on the heat that the balance of flavours was perfect and the consistency is amazing. I really dislike most store bought vegan cheeses because apart from fat they have almost zero nutritional value, so I don’t see the point in using or consuming them. Well done for a fantastic recipe and the sauerkraut juice is genius, I would not substitute with anything else. Also I think sticking with the carrageenan as the gelling agent is key for all the right reasons you’ve noted. Bravo! I’m so happy you enjoyed the mozzarella! Thank you for reporting back! 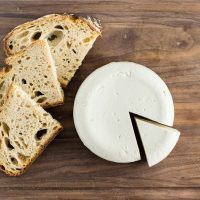 I have every intention of trying this recipe as-written (probably with some sauerkraut substitute, not big in my house) but it’s such a good guide on how to prepare and flavor a wheel of melt=able mozz that even with my considerable doctoring for what we didn’t have, it was a perfectly delicious result. I find sometimes that the most difficult part of vegan/dairy-free cooking is in knowing what basic “techniques” will get you in the approximate area of your desired end. And because a lot of the ingredients are expensive, it can be discouraging to experiment and fail with them. Thanks for making this recipe! I didn’t have nootch or sauerkraut, which clearly are a big part of the cheesy flavor. I did have extra garlic, lemon juice, and kala namak salt which made a really great savory “funk” in the finished cheese. Not going to lie, my kitchen smelled -bad- at first. Worth it. I used extra-virgin olive oil instead of coconut for a more traditional flavor and richness, but this altered the texture just slightly since it’s not solid at room temperature. If I re=use my substitutions, I will probably increase both the starch and the carrageenan, perhaps by half again and double, respectively. Didn’t have cashews, but soaked, skin-on almonds pureed 1:1 with water in my Vitamix were a fine substitute. Thank you again for opening this door to me, I’ve had some bad cheese experiments before, so this was a really great win! Thanks for reporting back, I’m so glad your experimenting worked so well for you and gave you direction for future cheese making! You may or may not have had this issue, but it’s worth pointing out–with olive oil, I’ve noticed it can become bitter if blended to vigorously, so would be careful about adding it too soon in the blending process. I definitely agree with the olive oil flavoring issue. Also, your precise measurements for cashews are very important – tried this again using my measurements with cashews instead of almonds and the difference in fat/fiber content was just too great, especially with the olive oil instead of coconut oil. So funny how fickle food can be. I did have some difficulty when I put all the ingredients in my blender together When it got warm, the starch and carrageenan did their gelling thing and it was hard to get back out of the blender – I lost maybe 2-4 oz of cheese to it. It just wasn’t really “pourable.” Did you have this issue at all? Is there something that can be used instead of the coconut oil to make it coconut allergy safe? Maybe vegetable shortening? Hi Jacquie, the coconut oil is essential for the final texture of the cheese–to have it more solid and sliceable when cold. It also has the best mouthfeel, or the one most like dairy cheese. That being said, for an allergy, I would personally try to substitute a neutral flavored oil like canola, virgin olive oil (probably not extra virgin as that tends to have a strong flavor), safflower, sunflower, etc. It will remain softer when cold, but should still get melty under heat. Shortening would probably have a rather unpleasant mouthfeel and not taste very good. Palm oil and [deodorized] cocoa butter might perform more similarly to coconut oil but I haven’t experimented with either.